After three years of research, surrounded by the best French experts in cosmetology, dermatology and nutrition, Elisabeth Visoanska has developed innovative high-performance products based on ingredients derived from extreme nature and optimized by biotechnology. Source Première, her signature product that has made fans all over the world, is an anti-aging cleansing water as effective as a cream. A true concentrate water from the Baltic Sea, this precious care captures amber pearls that purify, balance and regenerate the skin: impressive! 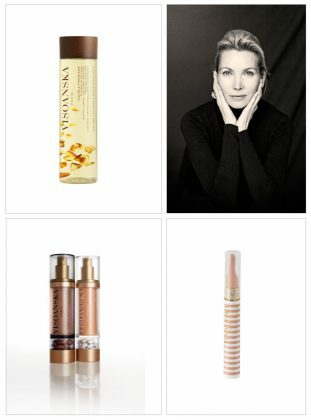 The Visoanska care collection unfolds the essentials to take care of the skin on a daily basis: eye contour, defining elixir, radiant glow mask, night cream, care for stressed skin … No less than 30 anti-aging patents and 100% natural active ingredients in each treatment that rescue the skin and repel the effects of time. The little extra ? The ability to design on-site tailor-made products with a revolutionary machine that analyzes your DNA. Welcome to the 21st century!